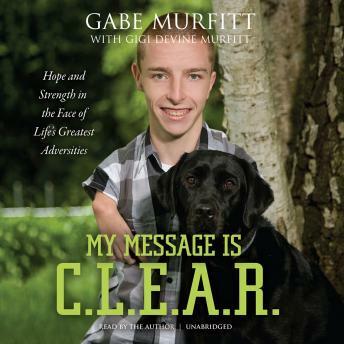 Join Gabe Murfitt as he shares his story of learning to live in a uniquely formed body. Through Gabe's C.L.E.A.R. formula, you will discover how you can have Courage to face life's challenges; Leadership that is encouraging and compassionate; Endurance in hard times; Attitude that enables you to achieve your goals; Respect for others and yourself.